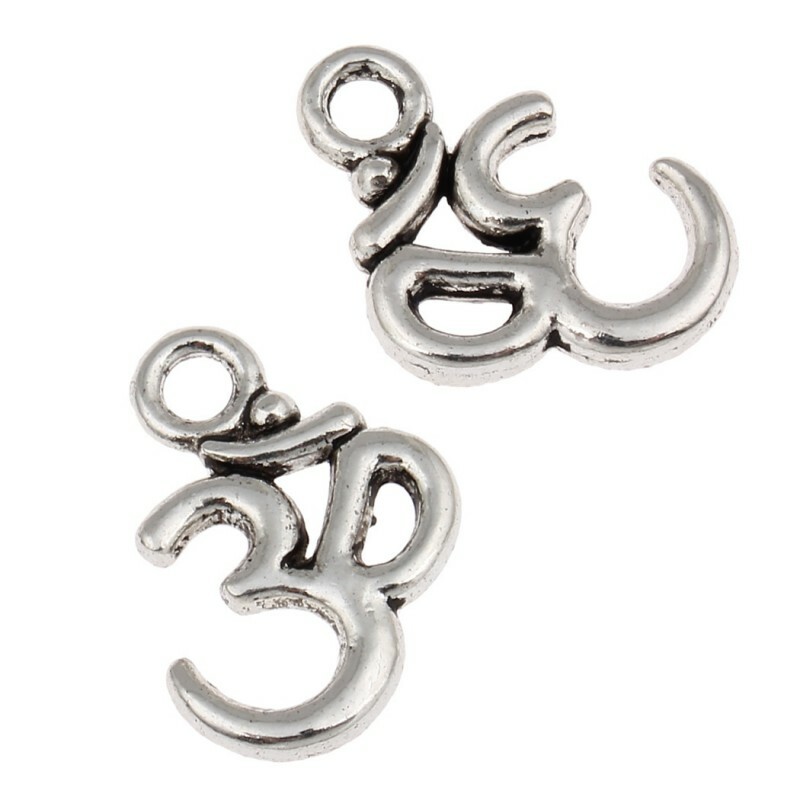 Hanging finding with the Om symbol shape. 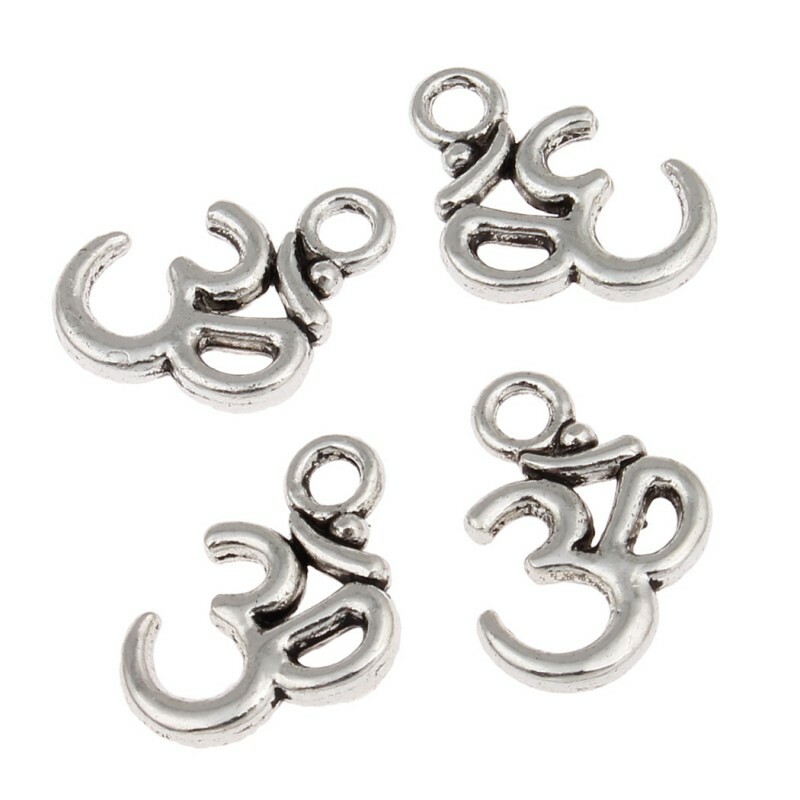 This charm measures 11 mm x 16 mm x 2 mm, with a hanging hole of 1.5 mm in diameter, and has the shape of the symbol Om, the most sacred mantra of dharmic religions. It is made with a zinc alloy in antique silver color. Each bag weighs 20 grams and contains about 30 pieces.